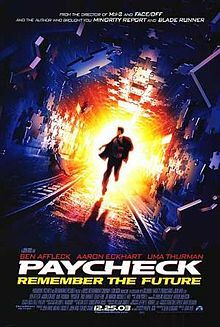 Paycheck is sci-fi thriller Indian English film. It was released in 2003. 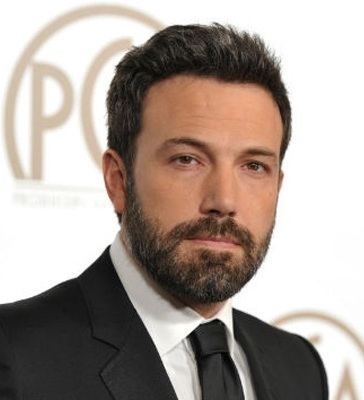 Ben Affleck, Uma Thurman played lead roles. Aaron Eckhart, Colm Feore, Paul Giamatti, Joe Morton, Peter Friedman, Kathryn Morris played supporting roles. It was directed by John Woo and produced by John Woo, John Davis, Terence Chang, Michael Hackett. Music composed by John Powell.